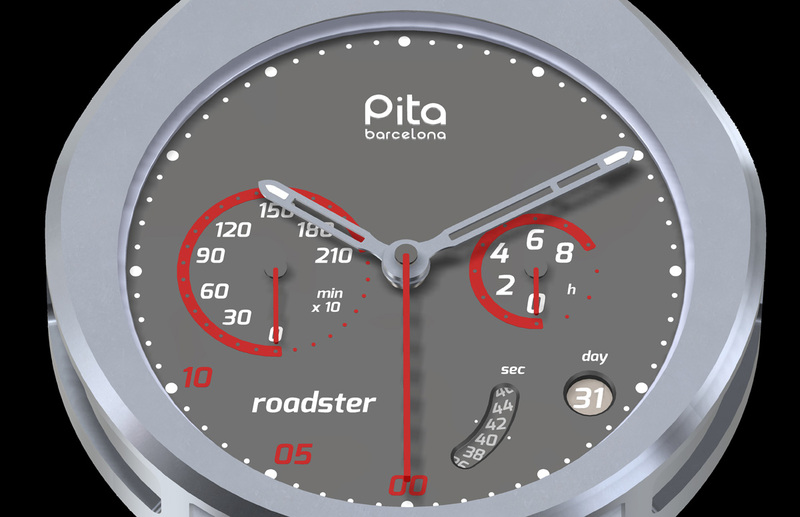 Pita Barcelona has just unveiled images of the Roadster, a bullhead racing chronograph. Inspired by the instrument panel of car, the Roadster has a stock lightweight aluminium-lithium alloy case, but various other options are available for customisation. Based in Barcelona, Spain, Pita Barcelona is helmed by Aniceto Jiménez Pita, a self-taught watchmaker who is a member of the AHCI. 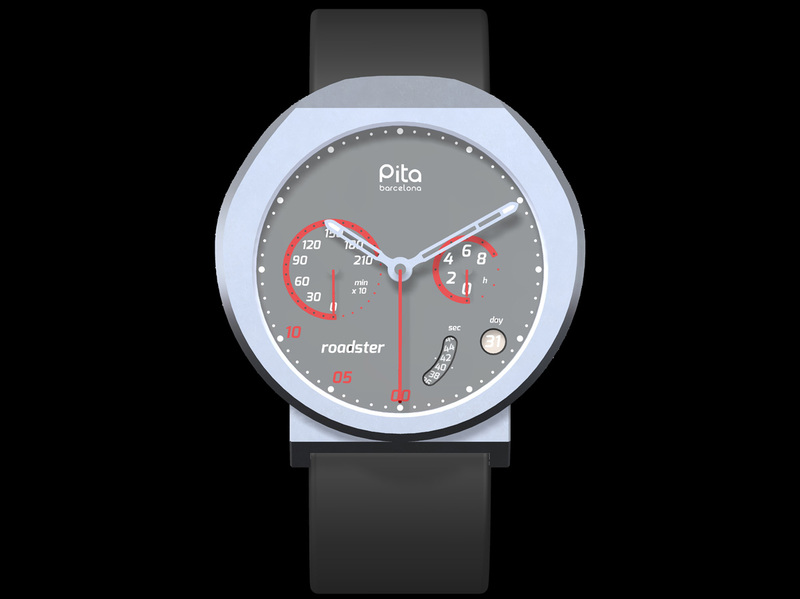 At Baselworld 2014 Pita will present the Roadster, a bullhead chronograph. The dial is laid out like the dashboard of an automobile, with all the hands on the chronograph sub-dials starting at six o’clock. When the chronograph is started, they travel clockwise and upwards, just like the speedometer in a car. The constant seconds is indicated in a window by a rotating disc at five o’clock, while the date is just beside it. 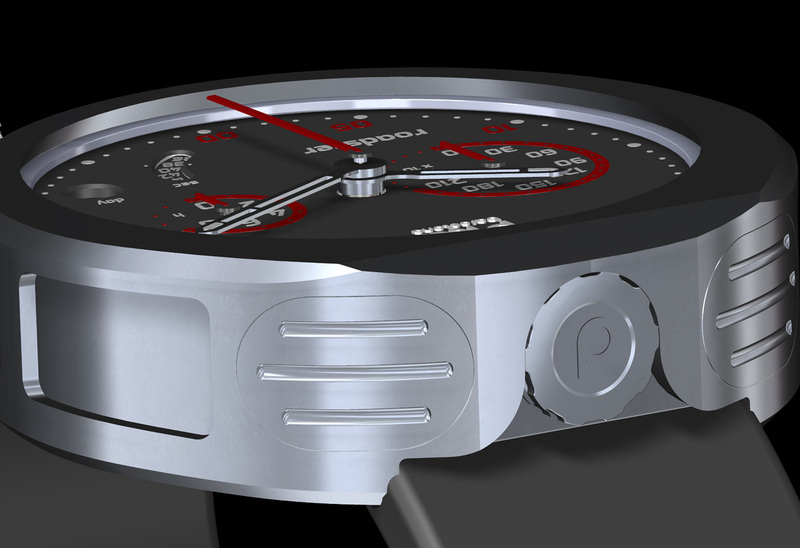 Made of a lightweight aluminium-lithium alloy – the 44 m case weighs just 15 g – the case is made in-house by Pita. 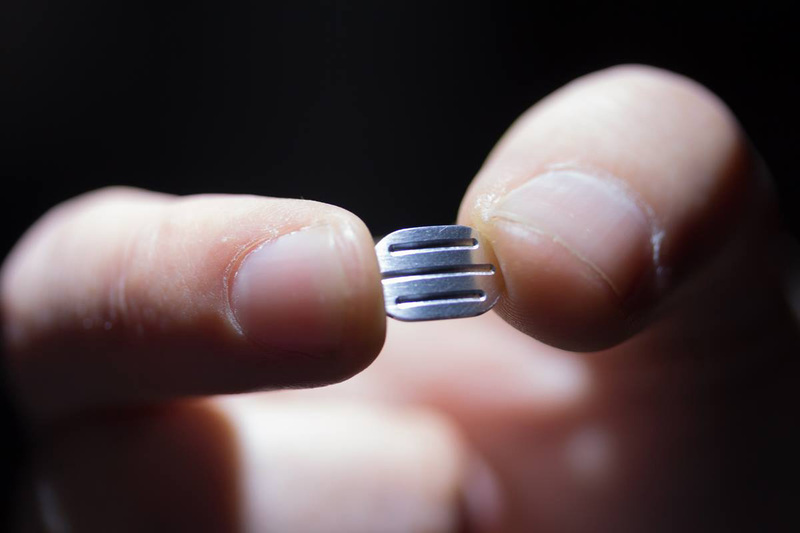 Various other case materials are available as options, including magnesium, titanium and precious metals like gold and platinum. Coatings like DLC are also offered, as is custom engraving on the case. The chronograph pushers, which are shaped like brake pedals, are located on the top of the case, at 11 and 1 o’clock, hence the bullhead moniker. 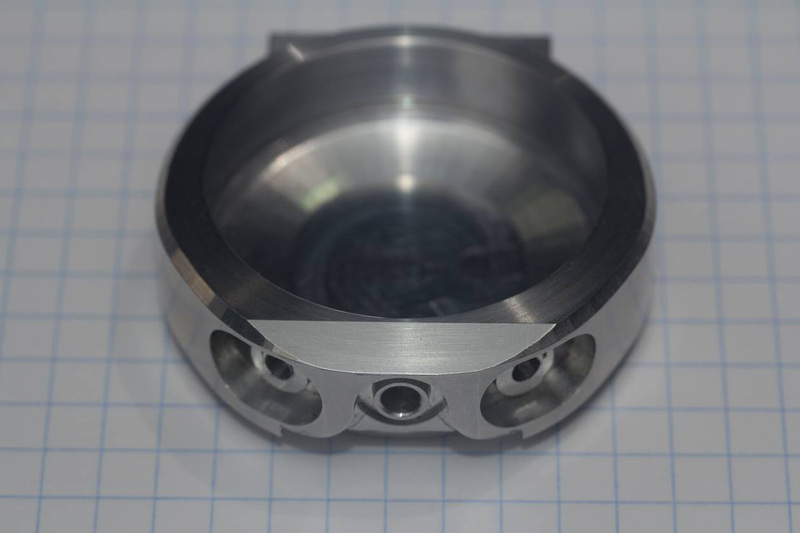 The movement is an ETA Valgrange calibre, a variant of the Valjoux 7750. The Roadster is priced at €3195 excluding taxes for the base model, which is equivalent to about US$4410. Delivery starts in June 2014. More details can be had on Pita’s website.